Wat is dit voor site? Wij zoeken de goedkoopste boeken op internet. Perfect Healthvonden we het goedkoopst op Bol.com voor €18.89. We hebben gezocht in nieuwe en tweedehands boeken. Rechtsonderaan de pagina kan je het boek direct bestellen	via Bol	.com. The author's Quantum Healing: Exploring the Frontiers of Mind/Body Medicine , aimed to show how health and sickness are controlled by awareness at the level of quantum physics, where mind and body are one. 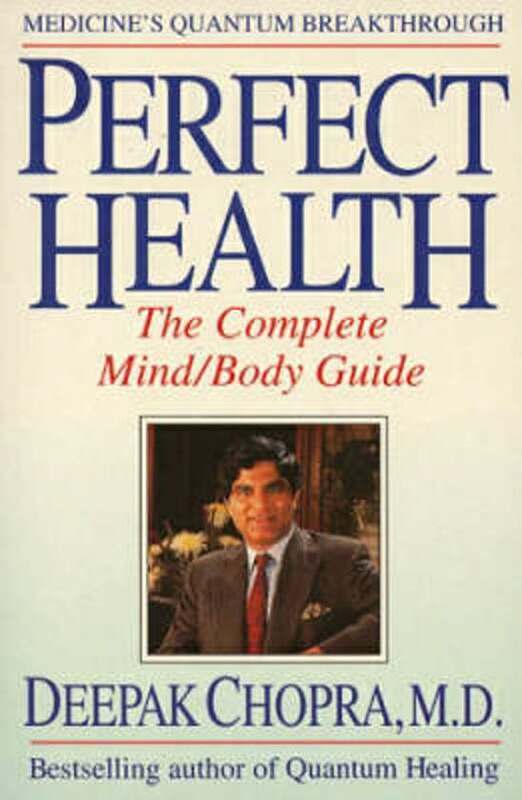 Now Dr Chopra has written a practical guide to harnessing that healing power of the mind, a book based on the principles of Ayureda, a 5000-year-old system of mind/body medicine that has recently been rediscovered. The book provides a step-by-step programme of mind/body medicine tailored to the individual's need. The result is a plan for re-establishing the body's essential balance with nature.